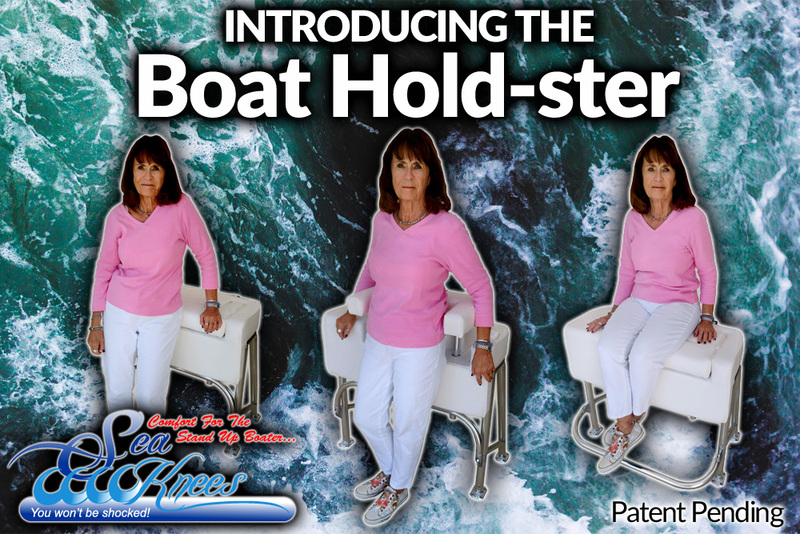 Boat Hold-ster can be configured at will to provide a U shape Bolster that will restrict lateral movements when conditions dictate. 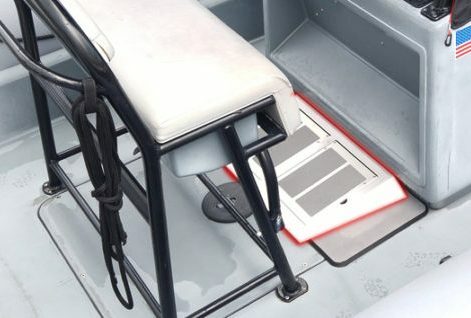 The most popular boat today is a Center Console and seating options include Traditional Seats, Bench Seats or Leaning Posts. 2. Leaning, helps visibility but is not the best for knees, hips and spinal cords when experiencing shocks from waves and offers minimal lateral stability. again the Spinal Cord and can offer even less lateral stabilization. bolster can be removeably coupled to the bench seat either with the one or more arms extending toward the primary cushion or with the arms extending away from the primary cushion. The reconfigurable bolster is height adjustable with respect to the primary cushion. In addition to its functionality and simplicity, the main advantage provided is that the same preferred standing position is maintained whether the bolster is in play or not. 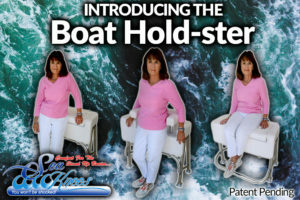 Boat Hold-ster – A Bench Seat, A Leaning Post, A Height Adjustable Bolster In addition to a Bench Seat and a Leaning Station, Boat Hold-ster can be configured in to a height adjustable Bolster, to limit lateral movement. In addition to its functionality and simplicity, the main advantage provided is that the same preferred standing position is maintained whether the bolster is in play or not. I’m here to assist and service boats, boaters, standup boaters, boat companies and boating organizations with all their Boat Hold-ster and boat shock mitigation needs for a best riding boat.